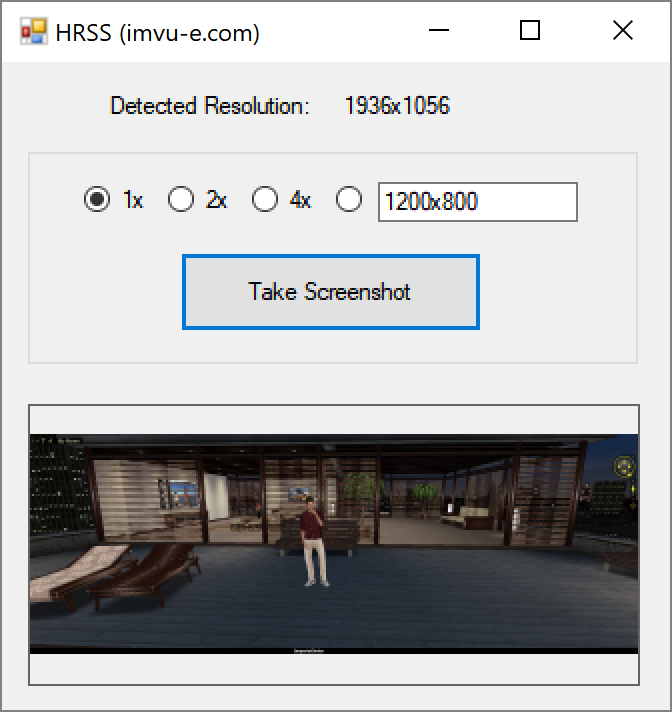 High-Resolution Screen Shotter (HRSS) is an application that allows you to take screen shots at any resolution, including higher than hiresnobg. HRSS is currently in alpha, which means that there are many bugs but the software will auto-update when bugs are fixed. To take a screenshot simply press "Take screenshot" button and will show you preview and automatically save to your desktop. HRSS will attempt to remove the background color at the top left, so if you have a solid background, it will remove it from the screenshot. HRSS only works if "Accelerated Graphics (Direct 3d)" is set in Settings -> Advanced -> 3d renderer used to draw 3d windows.